During an airplane safety demonstration, flight attendants always remind passengers to put their own oxygen mask on before helping someone else. The same principle applies when caring for the aging. It is essential to provide what is needed for caregiver health. Unhealthy, worn out caregivers cannot offer the same standard of assistance to their senior counterparts. As people enter the later years of life they often struggle with routine tasks. In some cases, the elderly have trouble with activities like getting their own groceries or driving to appointments. Other seniors may face a lack of mobility or a memory-related disease like Alzheimer’s. In any case, increased challenges typically mean that seniors require more assistance at home. Caregivers are individuals who offer non-medical assistance to the elderly or disabled. A caregiver may be the adult child of a senior who helps mom or dad run errands or get to appointments. 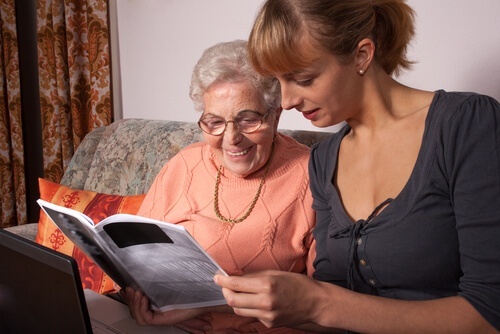 Likewise, a caregiver can be a professional who offers assistance in an elderly person’s home regularly. Adults between the ages of 45 and 64 are the most likely to be caregivers. 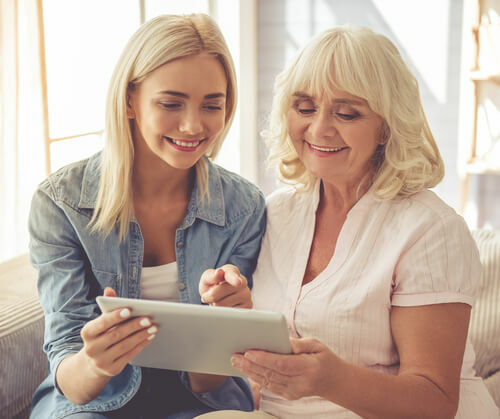 For adult children acting as caregivers, the rewards of offering assistance to an older parent or relative tend to be obvious. Family member caregivers often find it meaningful to give back care to a senior who cared for them in their younger days. Spending personal time with older family members is also naturally rewarding. Professional caregivers also find their job rewarding. Caregiving is a profession with extensive personal contact and often involves participating in a senior’s life on a regular basis. Many choose their career because they enjoy working with the aging population and find joy in helping older adults find comfort in this season of life. Despite the rewarding nature of caregiving work, the activities involved can be challenging. In some situations, caregiving requires the physical labor of lifting or providing hands-on help to seniors. Most caregiving jobs are emotionally difficult, causing 38% of caregivers to report they find the work highly stressful emotionally. This is especially the case for those acting as caregivers for family members. As a result of the physical and emotional stress of caregiving, it is common for caregivers to burn out. WebMD explains caregiver burnout as a “state of physical, emotional, and mental exhaustion.” This can result in decreased quality of care and personal problems. In order to succeed at offering help to aging adults you care about, you need to care for yourself. Caregiver health is not something to overlook. Start with the basic information and tips provided in this post and look for future blog posts about taking care of yourself as a caregiver. Learn more about the rewards, challenges, and other aspects of being a caregiver.